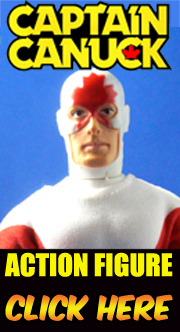 I spent last evening loading up all the images for Mego's grand launch back to Target stores (You can see it all at the MegoMuseum), even got a call from Mego's president last night. So I'm suer nostalgic, grateful and entirely validated right now, also tired. Anyway, Mego is what brought me on this grand adventure, so I declare today Mego Thursday! 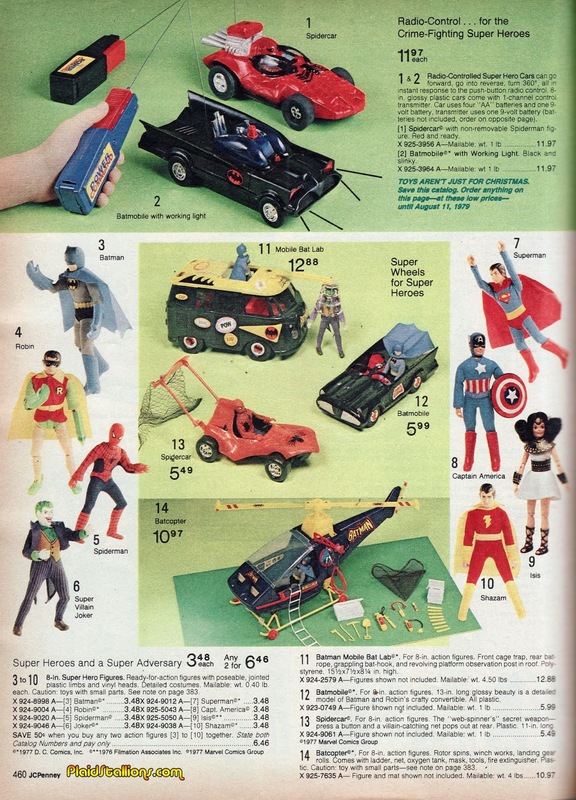 I have everything in that ad except for the Empire Batcopter and the remote-controlled Batmobile. I have the Spidercar, but not the remote. It still makes the sound, so it might still work. Why would Batman be driving a VW bus? Was he taken in by a Ponzi scheme? Young men in the 70s understood the importance of a "mobile bat lab".